Although Android Update is for Android users to find the latest updates for their Android phones and tablets. Many Android phone users come to visit us on the Apple iPads. 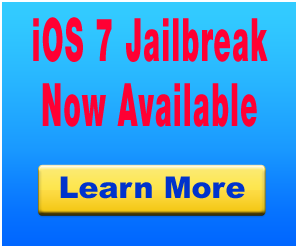 We thought we would share with our avid readers that there is now a Jailbreak available for iOS 7. This has been one of longest waits for a jailbreak! It took the team at Evasi0n 120 days to jailbreak iOS7.